TouchTunes allows you to be the DJ and control the music in over 65,000 bars, restaurants, and other social hotspots in the US and Canada. Their jukeboxes have a popular companion app that acts as a remote control for the jukebox, allowing users to search for music, create and import playlists, earn rewards, and play their favorite songs without losing their seat. TouchTunes has found that its mobile customers are 60% more likely to play a song when they receive relevant, personalized messages while in a TouchTunes venue. 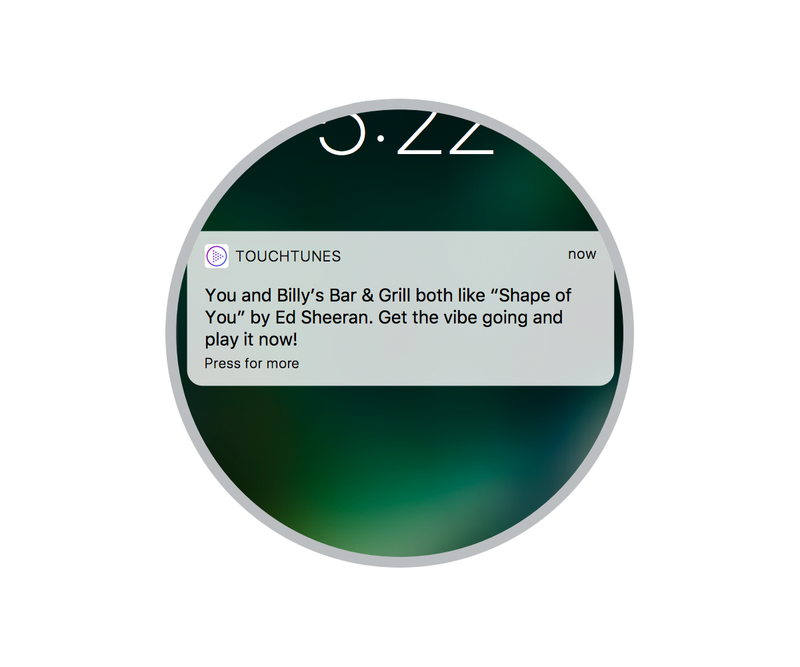 Given this increase in song plays, user engagement, and ultimately revenue, TouchTunes wanted to send real-time, location-based messages to customers at as many of their 65,000 venues as possible. To do so, TouchTunes needed a solution that was both accurate and easily scalable across their network. TouchTunes also sought a solution that could automatically add a geofence or edit a geofence when a new venue opened, or when a jukebox moved from one venue to another. Lastly, TouchTunes required that geofence entry events represent actual venue visits, not just customers walking or driving by one of their venues. TouchTunes chose Radar to help them achieve their objectives. Working closely with the Radar team, TouchTunes leveraged Radar's capabilities and its own user data to create accurate geofences, and to determine when a consumer actually stops at a venue. With Radar, TouchTunes was able to confidently eliminate false positives, helping to ensure that consumers only get messaged when they are dwelling at a TouchTunes venue. Our engineering team tested multiple platforms to supplement the solutions we already had in place, and Radar came through with the accuracy, reliability, and ease of implementation that we needed. With Radar, TouchTunes was able to extend its proximity coverage and send personalized messages to its mobile users in an additional 10,000 venues. Sending personalized messages to consumers in more venues will directly increase mobile song plays and revenue. With this success, the company plans to extend their use of Radar to reach thousands of additional locations. Radar has been a key partner, allowing us to boost venue coverage and send more personalized messages to our consumers. Radar has been great to work with. Ready to learn more? Visit our website!